Thrifty and Frugal Living: Free Dingo Jerky Chewz Chicken Chips and My Story! 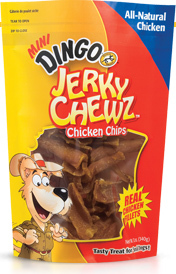 Free Dingo Jerky Chewz Chicken Chips and My Story! side note: it says it takes a few days for it to get posted, so mine is probably not displayed yet. We met the sellers in the parking lot of a restaurant. The second I saw him, I knew he was the one. Forget the fact that we hadn't met his parents. Forget that we had no idea that he had never been outside before this. You can even forget his heart murmur. He was the one for me. I Instantly melted for this beautiful little black and white dog in my arms. He was so comforted to be held and terrified of the world. I looked at my Husband and he knew before I said a word. This was the one. He was my Tequila. We handed over the cash that I had been saving for months and hoped into the car with Tequila snuggled in my arms. 45 minutes when we arrived home I decided to take him for a walk. He had never felt grass or seen the outdoors. 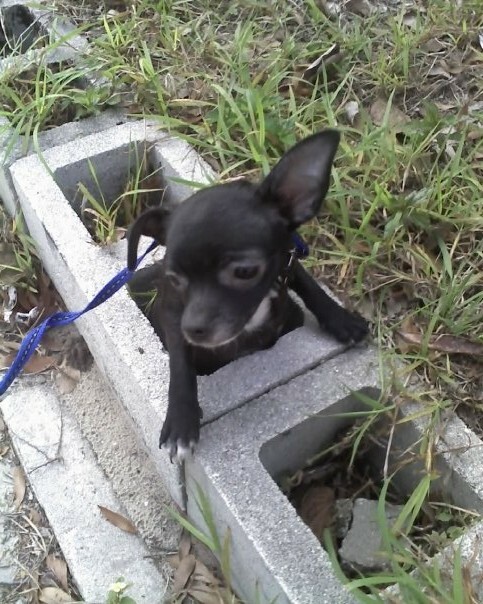 He tripped and fell into a cinder block. Then, he just looked up at me so scared and helpless and I knew that he needed me even more than I needed him. This picture is from that day when my little man was finally home at last.